The Miami Herald reports the state’s department of transportation distributed 475 personal breathalyzers to residents of the state who had previously been convicted of a drunk driving offense. 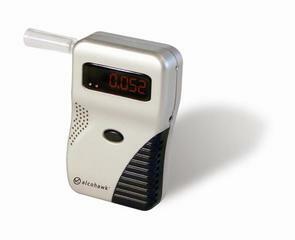 These devices allow individuals to test themselves to determine whether they had surpassed the legal alcohol limit, indicating they were not safe to drive. That was over the summer. Now, the state is reporting notable success with the program. Seventy-five percent of those who received the devices self-reported they had used them and almost 95 percent said everyone who regularly drinks should carry such a device. Only one of those who participated in the program had been convicted of another DUI during that time, and 9 percent said they believed they had driven under the influence. This was compared to nearly one-third who said they had driven while impaired prior to receiving the personal breathalyzer device. The fact that even participants are supportive of them goes back to the reality that most people are poor judges of their own impairment. These personal breathalyzers could be hooked up to apps on their smartphones, making portability and ease-of-use attractive qualities. If you are injured in a South Florida DUI accident, our injury lawyers in Miami can help.